In 2017, Nathan was selected to be the City Manager of the City of Portage la Prairie making him one of the youngest City Managers in Western Canada. As the City Manager, Nathan provides leadership for a team of 150 municipal employees and works with City Council to help establish the strategic direction for the community. Nathan has been a leader in municipal government for seven years spearheading efforts on Indigenous inclusion and supporting community mobilization efforts, and municipal partnership agreements. Nathan was recognized by his peers in the Municipal Administration profession by being the 2017 recipient of the Grant Thorsteinson Memorial Award for excellence in professional development. Nathan has always been a steadfast supporter of BU. During his time as a student he served for four years on the Brandon University Students’ Union culminating with his role as BUSU President in 2007/08. While at BU he served on the Board of Governors, Senate, and Brandon University Foundation. Following his graduation in 2008, Nathan continued on with the Foundation for nearly ten years participating in several major fundraising campaigns and serving as the BU Foundation President. Following his graduation from BU Nathan continued with his educational attainment receiving a graduate certificate in Municipal Administration from the University of Manitoba, and is currently completing a Masters in Public Administration with the University of Victoria. As an avid believer in the power of communication skills, Nathan has endeavoured to continually improve his public speaking abilities. He was awarded his Distinguished Toastmasters Designation, was selected as Area Director of the Year by Toastmasters International, and won several District level public speaking competitions. He has used the skills gained by his involvement to assist others in his community by leading several communication courses for underemployed or unemployed Indigenous youth. 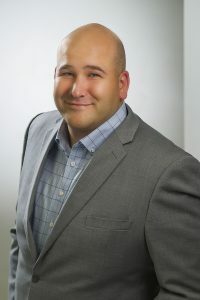 With a passion for community service, Nathan has also served on the Board of Directors for Career & Employment Youth Services, Career Connections, Brandon Salutes, and Crimestoppers and continues to be actively involved in his community. The Award for Exceptional Service recognizes individuals who have provided exceptional service to Brandon University and/or the Alumni Association through a significant contribution of time and self. Gerald Brown’s relationship with Brandon University began in 1955 when he joined what was then Brandon College, for the Teacher Training Course, graduating a year later in 1956. He returned Brandon College earning a BA in 1963. 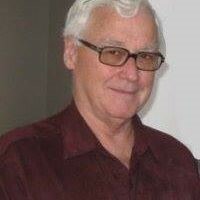 He continued his studies at the University of Michigan receiving a Masters in Library Services in 1968 and a Masters of Education in 1972 from the University of Manitoba. Years later, he returned to Brandon University where he took vocal lessons from Lucien Needham. Following his education, Gerald began a notable career as an educator teaching grades 5 – 8 in Ninga, Manitoba for two years and later in Shilo from 1959 – 1965 where he taught, grades 6 and 8, as well as the choral music programs. In 1965, he joined the Winnipeg School Division as its School Librarian Program Organizer, a position he held until his retirement in 1992. Gerald’s service to Brandon University spans decades. For several years, he has been the lead organizer for the Class of 1956 TTC reunions, keeping them up-to-date and informed with what is happening with fellow classmates and their alma mater through regular newsletters. In 2016, he compiled each of their life stories, memories and photos into a 180-page hardcover book. In recognition of the first Dean of Education Dr. Wilfred McCutcheon who served from 1955 – 1967, Gerald garnered support for the Dr. Wilfred McCutcheon Scholarship in Education in 1998, which has provided more than $81,000 in student awards. In 2016, Gerald helped to raise funds for the development of the McCutcheon Alcove, a popular study spot for students, in the Education Building. In addition to this, Gerald recently donated the Lorne Watson Archive Collection to Brandon University, a project that was three years in the making. Gerald has represented North America on the International Association of School Librarians Board and received an Honorary Life Membership in 1993 as well as the Canadian Library Association Outstanding Service to Librarianship in Canada Award the same year.